After losing the patent infringement lawsuit against Samsung's tablets in the UK, on the ground that Sammy's tablets just don't have that "cool" factor, the court ordered that Apple places ads in prominent media and on its website, about the decision. Now we learn that Cupertino has filed an appeal to that wonky "advertisement" request, and the same judge that presided over the main case will be hearing it. We don't know the final outcome, but it will be certainly fun to watch if such somewhat humiliating ads will appear in British media. Considering the generic design sketches Apple was basing its request on, the judges might be willing to go all the way, and strike down the appeal. 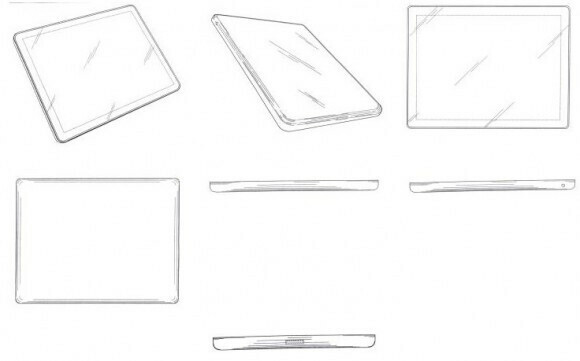 The good thing that comes out of these lawsuits are all the leaks about early prototypes, filling in the blanks on how the most successful mobile devices in recent memory were conceived. I must admit, that would be quite funny to watch. Lol. I'll be looking for the outcome of this. I want to be able to see Apple's UK site so I can get that screenshot. It'll never happen. Good luck with that!!! This is a hilarious humilation of apple and comeuppance can be sweet! It'll be brilliant if the ads actually appear but even if they are stopped this situation has hit main general news so it has shown the ridiculousness of apple to a vast bigger majority of the unaware public who don't read PA or other such mobile news outlets. Perhaps some ifans might see the light at last! Of course they will appeal. That was no brainer. This is all so funny tho. I await for the day when they leave the courts out of it and just go back to competing in the stores. "We appeal this discision!" "Why?" "Cause this would damage our RDF generator and the late SJ's ego!" 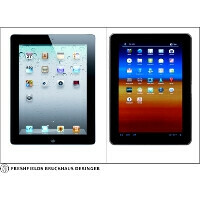 "Tough s**t."
After Apple photoshopped Samsung's tablet to have the exact shape as the iPad in the Germany trial, I don't have any faith in the validity of their prototype images. Their design department could have whipped those out in a day. That's always been a big problem for me; this editing of a submitted exhibit for the court... Was there ever anything done about that all??? Eat how much apples now you can bcoz soon apple will be sueing shops selling apples witbout paying royalties to ©r_apple. And btw u iPhonearena why the fk i cant write ©r_apple in right words is this swearing ? or u ppl get ur salories right from tim crook ?